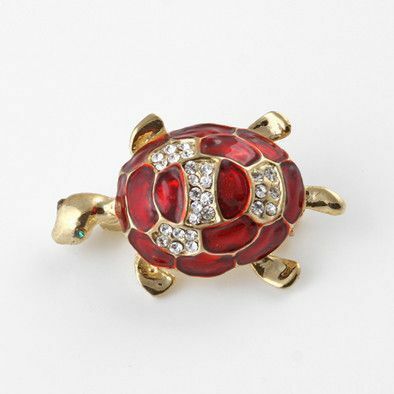 Add some color and sparkle to your wardrobe with this cute gold-tone turtle pin. 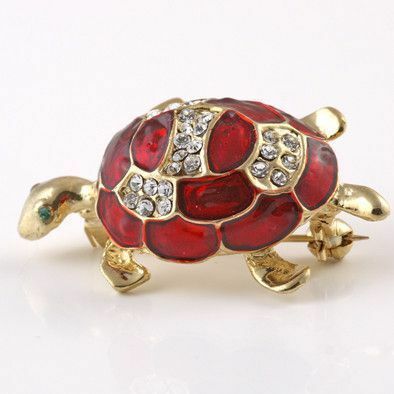 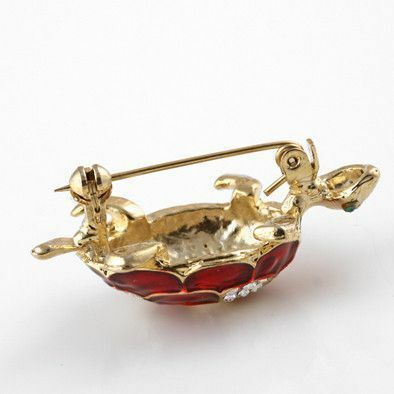 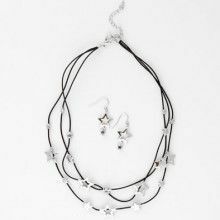 The turtle has a rich red shell ornamented with glittering clear Austrian crystals, making this a fun gift to give – to a friend or to yourself! 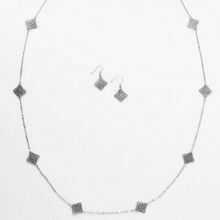 Pin measures about 1 5/8" x 1"